One of the most exciting and terrifying milestones of being a solopreneuers is realizing that your business is growing and that you need help. This was a particular painful moment for me. I was working on a project which required some refined technical skills. I was so used to doing the work myself – but I had also gotten very busy and realized not only was I reaching the limits of my skillset, I was running out of time. Looking back now, I realized I should have looked for help much sooner. It would have freed me up to work on the things that I was really good at and saved me a lot of undue stress. Getting help as a solopreneur continues to be a challenge, but I thought I would share some of the things that I’ve learned about scaling my team. 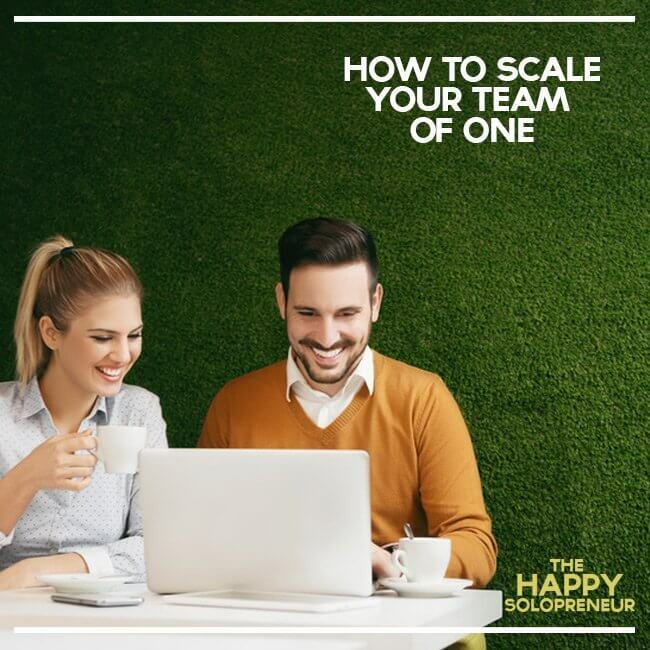 Getting help as a solopreneur can be a challenge..here’s how to scale your team. As a start, take some time to think about what types of help you need in your business. You may find you need someone with a very similar skill set as you – a person that can back you up and do the work you typically do. Or, you may need someone with a different background to do thing you cant do. For me, my initial needs were finding technical help and assistance with social media, two pretty distinct roles that I have some experience in but perhaps not the same that someone who specializes in these areas would have. Be very clear as to what you need and your expectations. One way to do this is by creating a project brief which includes a project overview, timeline, milestones and deliverables. The best way to test out a potential team member is to give them smaller, non-urgent projects. This allows you to get to know the person you are working with and their work style and for them to be able to ask questions and make mistakes without the pressure of deadlines. Freelance sites can help you with everything from payments to project management. Sites like Upwork will help you find the right person, while also supplying tools like a time clock and automatic payment options-one less thing for you to worry about. The popularity of some pay per job sites like fiverr.com, have created a high level of competition and many freelancers charge very low rates. But the reality is that you typically get what you pay. Don’t expect to get a high level of work or commitment from someone who is making just a few dollars. One of the best business books I have ever read is The E Myth Revisited. This book is about running your business in a way that allows you to step away fro your business. This may seem counter intuitive, but the reality is, most small business owners get stuck in the day-to-day tasks and not only can’t enjoy the business they have created, but they also under utilize their real talents (since they are doing so many other tasks). This ultimately leads to burn out. E Myth walks you through the process of defining the skills you need in your business so that you are and you’ll be better prepared to fill these roles as your team grows. As for me, I found some great partners to help with my projects – a super savvy tech person that I work with on specific projects, a part-time social media manager and some freelance writing help. This year, I hope to add a designer to my team. This has freed me up to focus on the things I am really enjoy.